What exactly is Donald Trump hiding? In recent months, China Labor Watch—a workers’ rights group that has successfully connected numerous US corporations with exploitive working conditions in Chinese factories—has tried and failed to locate the facilities in China that have churned out millions of dollars’ worth of gaudy shirts, pants, and neckties for Donald Trump’s various clothing lines. With little publicly released information to work from, the organization scoured Chinese-language job-board postings, contacted a third-party intelligence firm, and even queried a congressional committee. Yet it was all to no avail. The names and locations of Trump’s overseas factories appear to be yet another secret relating to his fortune. Many of the most basic details of his overseas manufacturing deals remain elusive. 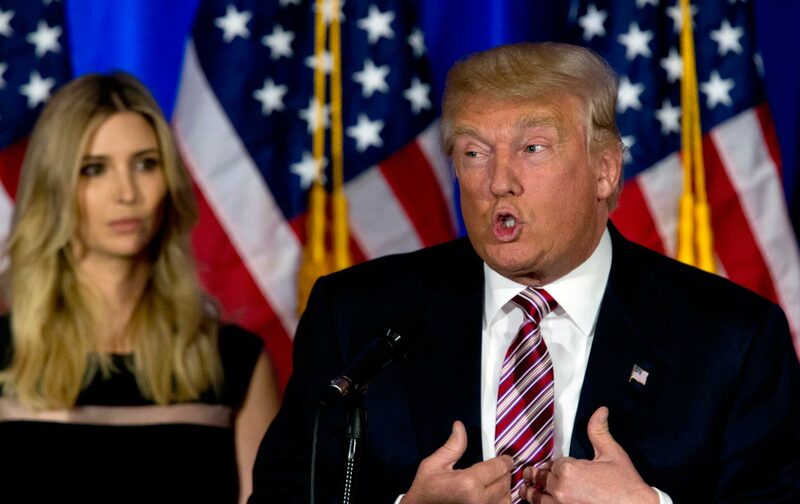 Although Trump’s own businesses have manufactured his various clothing lines overseas, the presumptive Republican presidential nominee has largely built his political brand on blasting the exporting of US jobs to foreign countries such as China, a nation that he claims is “ripping this country off like nobody’s ever seen before.” And while observers have highlighted the rich irony of Trump’s rhetoric on global trade, many of the most basic details of his overseas manufacturing deals remain elusive. And it appears that Trump would like to keep it that way. In response to repeated requests from The Nation, Trump and his businesses provided no information about the foreign factories that have helped to expand his fortune. Trump’s presidential campaign, the Trump Organization, and the Ivanka Trump Collection all did not respond to inquiries from The Nation seeking names of any specific factories or manufacturers that have produced Trump-branded merchandise. The businessman’s candidacy comes at a time of increasing alarm among labor advocates over working conditions along the global supply chain. In April of 2013, on the outskirts of Dhaka, Bangladesh, an eight-story factory building known as Rana Plaza collapsed, killing more than 1,100 garment workers, who were earning well under a dollar an hour for their perilous work. The victims of the fatal collapse had been making clothing for large global brands including Walmart, JC Penney, and Carrefour. In the months following the catastrophe, human-rights groups found that managers of the factories had scoffed at workers’ fears for their safety. “At Rana Plaza, factory managers compelled reluctant workers to enter the building despite major cracks in the complex’s walls,” noted a report by Human Rights Watch. “In some instances it is said that the managers threatened workers who hesitated to comply,” the group noted in a separate report. Through an intricate layering of contractors and subcontractors, US fashion brands can hide the names of their suppliers, as well as shield themselves from liability when workers making their products are killed or injured. After a sustained public outcry following the Rana Plaza collapse, some companies decided to pay compensation to victims and have also pledged to work toward greater transparency and accountability in global production. While the results of such promises have been mixed, a growing number of apparel companies—including leading names like H&M, Patagonia, and Adidas—have opted to disclose the names of their manufacturers in recent years. And just recently Marks and Spencer and C&A publicly released lists of their overseas manufacturers. Yet these brands represent exceptions within an apparel industry in which the vast majority of brands, often citing competitive concerns, operate with secrecy similar to Trump’s clothing lines and PVH. When a brand doesn’t disclose their factories we must ask: What are they hiding? While PVH generally withholds information about its overseas manufacturers, some information has inevitably seeped into the public record. For instance, in 2014, workers became restive and prepared to go on strike at a factory owned by a Chinese manufacturer named Lide, which has made shoes for one of PVH’s clients, Calvin Klein. “The fundamental reason that workers at Lide went on strike is because the company failed to pay legally entitled benefits to workers for many years, accumulating massive arrears,” according to a post on the website of China Labor Watch. In the ensuing months, the dispute was resolved, but, earlier this year, four labor activists were arrested and jailed by the Chinese government, China Labor Watch said, for their involvement in advocating for workers’ rights at the PVH-connected factory. After China Labor Watch notified PVH of the activists’ jailing, the company responded in a letter asserting that “there is no indication that the current detention of activists is connected to the 2014 labor dispute at Lide,” but stated that “PVH takes any instance of unfair detainment related to human rights advocacy very seriously.” The sourcing company told China Labor Watch that it had contacted several organizations and industry stakeholders, and pledged to sign a letter to the US Department of State. Although the Lide factory dispute is just one instance among PVH’s no doubt massive supply base, Foxvog fears that, among clothing brands, abuse of workers making items similar to what Trump sells might be the norm, and a problem made all the more difficult to address by the profound opacity of the global supply chain.